Loaches or mudfish may not be the first thing that come to mind when thinking of healthy food. But in Korea, when people are exhausted, many look for loach soup, or chueotang. 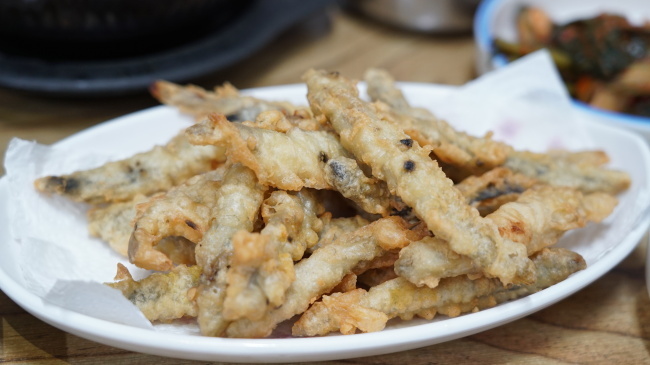 Chueotang is prepared by purging sand out of live loaches by boiling them in salted water. The loaches are then boiled again with various vegetables, such as chives and dried radish greens. The soup can be enjoyed with either whole or pureed loaches. As some could be uncomfortable with soup filled with loaches in their entirety, the loaches are usually grinded in a blender before being boiled. However, some prefer the pleasure of thoroughly chewing the tiny fish. If blended, one wouldn’t even be able to know that chueotang is made with loaches. The soup is thick with perilla powder and ground loaches. Boiled with soy bean paste, it tastes strong yet refreshing. As the vegetables are boiled for a long time, they are very mushy. Loach soup is considered a heathy dish, as Koreans believe that loaches have great stamina, powerfully wiggling their bodies in the water. They also have strong vitality and are able to live in mud in case of a drought. When people are tired and fatigued, especially in summer, they search for chueotang. 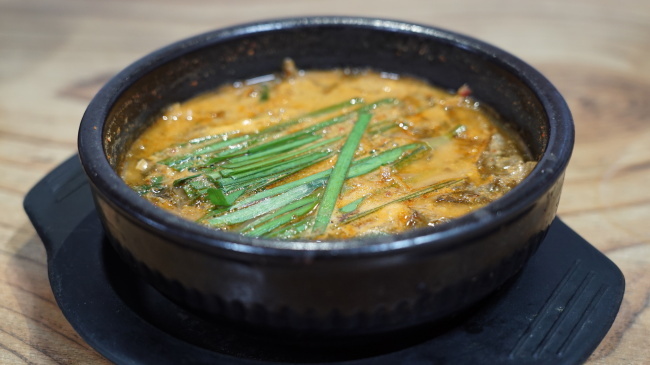 The southwestern city of Namwon in North Jeolla Province is famous for the dish. The city, thanks to its geographical characteristics, is home to many freshwater fish species, including loaches. The squiggly fish can be enjoyed as a fried dish as well. As mudfish are fried whole, their overall shape is the same as their live form, showcasing their entire body from head to tail. One can also vividly taste the bones when eating fried loaches. It is not dangerous, as the bones are small and fragile, but the texture is definitely more than a tickling sensation in the mouth, involving chewing the bones.